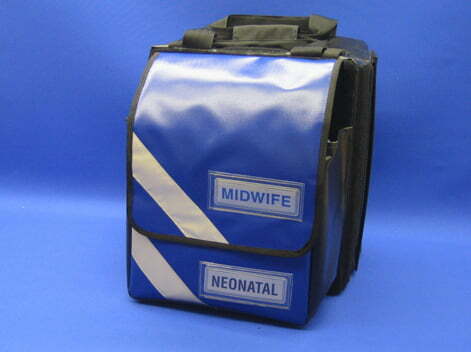 This pack is manufactured in Infection Control material with a full foldaway backpack. 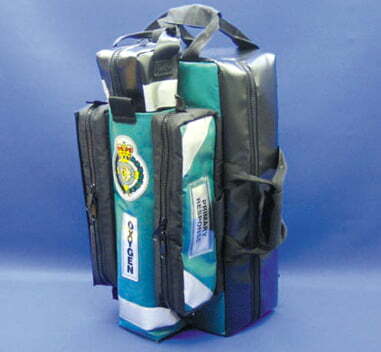 The interior has side and top carry handles and contains an oxygen bag, collar sleeve and detachable colour coded windowed pouches. Manufactured in heavy duty wipe clean material. This pack has detachable top and side skid sheets, top and side grab handles with torch attachment and a full foldaway backpack. 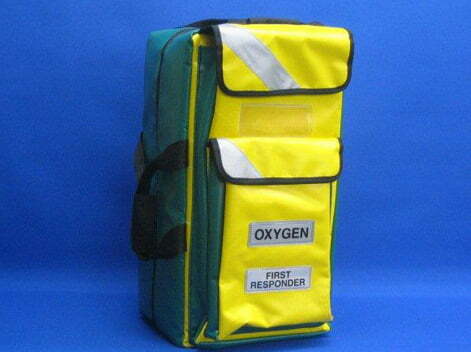 The front has twin opening pouches with elasticated mesh pouches and a removable CD oxygen insert with safety strap. 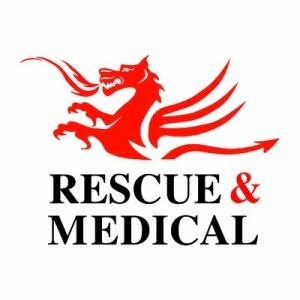 The inside has a collar and document centre pouch, detachable zip opening colour coded windowed pouches (4 x medium, 1 x large) and 1 x detachable AED pouch. 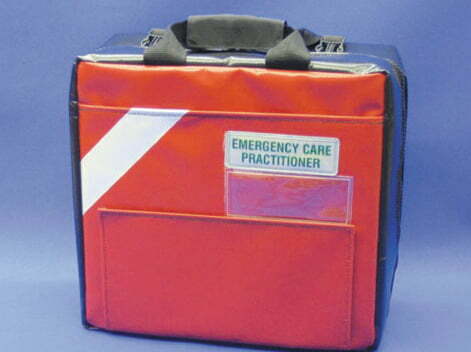 This makes a robust, compact Primary Response Pack. 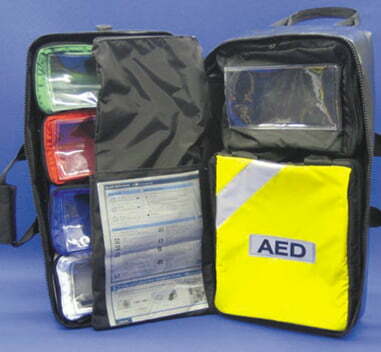 This pack has top and side carry handles, a large front pocket for a delivery kit and detachable windowed pouches. Twin colour coded zip opening. Full foldaway back pack and padded shoulder strap. Manufactured in heavy duty wipe clean material. Zip opening grab bag with top carry handles, bottom skid sheet, front document sleeve, and SR buckles for attaching to main bag. 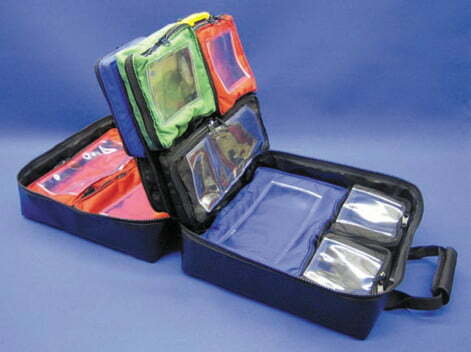 Inside there are removable windowed zip pouches of various sizes for organising contents. The centreboard reveals another side with large zip pouches and one large fixed mesh pouch. 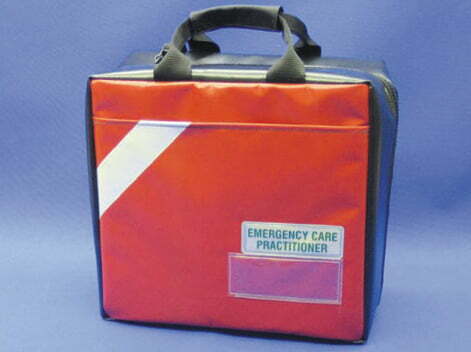 Box bag with top carry handle and twin end pockets. 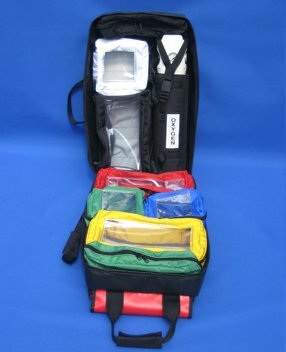 There is a zip opening organised front pocket with removable pouches for diagnostic equipment. 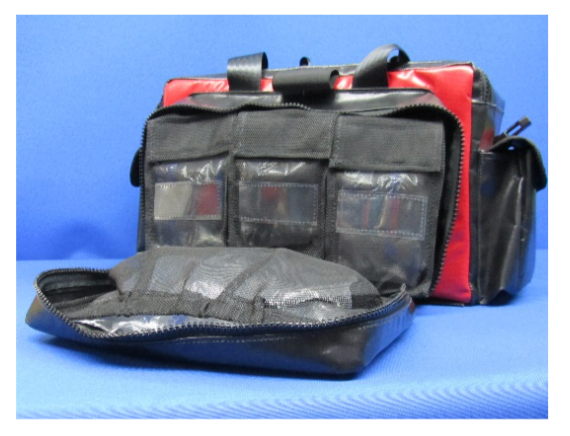 Twin opening zips leave the access clear to the partitioned inner for organising paperwork and files, set pocket for pens, pencils, phone and patient monitoring equipment etc. The back has webbing loops for the bag to sit secure on the front or rear seat of the vehicle using the seat belt for retaining the bag. 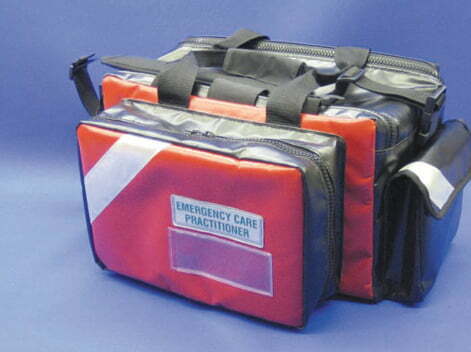 Robust skid sheet to the bottom and removable padded shoulder strap. 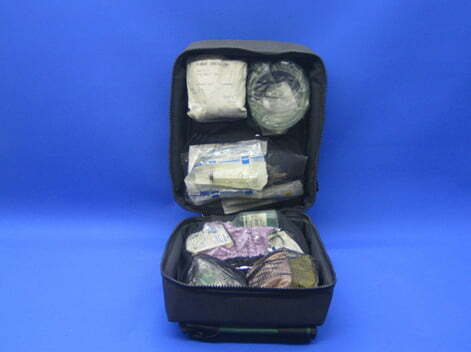 Large drug bag with top carry handle and a front covered document sleeve for drug contents list. 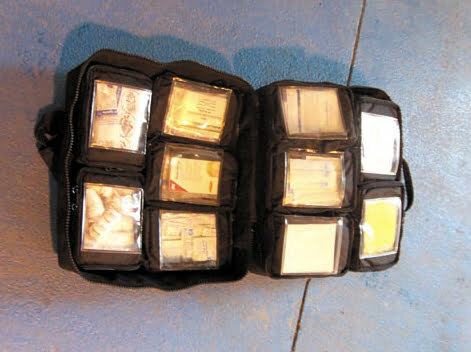 Inside, there is a centre board making four sides with detachable windowed pouches, colour coded for cardiac drugs. All drugs can be stored in their boxes. 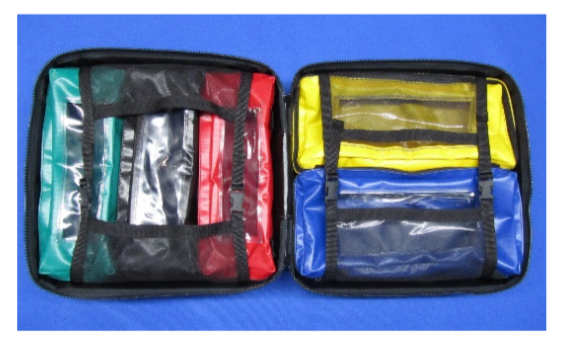 Small compact wipe clean pack with a full width front pocket for the AED. This pack has a heavy duty skid sheet to the base, plus full sleeve on a foldaway backpack. There are two label sleeves on the front and a Mag-Lite holder on the top. 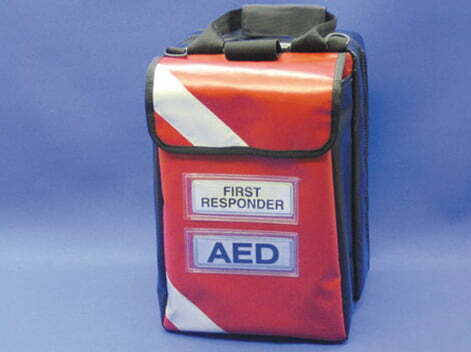 Available in many colours, logos and labels if required.